Mysore is one the most popular tourist destination in southern India. Tourists visiting Mysore, have many places to explore, both in and around the city. Places near Mysore range from hill stations and trekking spots to national parks and temples. Tourist places near Mysore are ideal for a perfect weekend getaway away from the city life. We have shortlisted some places that will take you directly into mother nature’s lap. At a distance of about 81 km from Mysore, Shivanasamudra Falls is a popular waterfall located in the Mandya District of Karnataka. This is an ideal place to visit for a one day trip from Mysore. 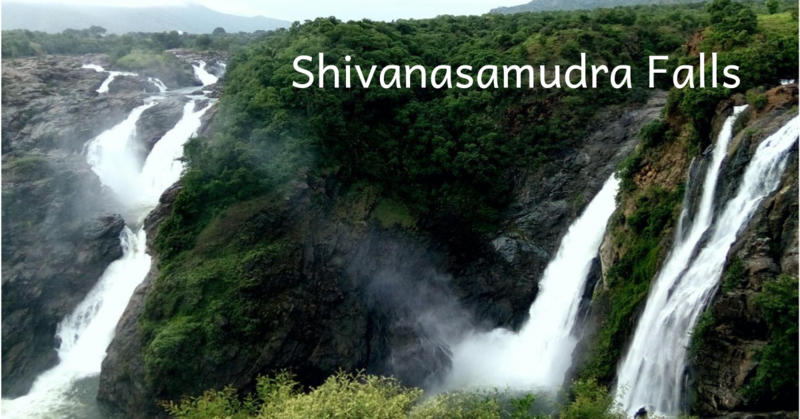 Shivanasamudra Falls is also known as ‘Siva Samudram’, which literally translates to ‘Shiva’s Sea’. This is a segmented waterfall, with several parallel streams formed adjacent to one another. To witness the waterfalls at its best, tourists must visit the Shivanasamudra watchtower. A number of ancient temples are located around the region, which gives the visitors a lot of sightseeing options. The place is truly a paradise for nature lovers and an ideal canvas for artists, poets, painters, and writers. Visitors should take along food items and water, as there are no proper food stalls or restaurants around this place. The currents here are strong and the gorge is deep, because of which swimming is not allowed here, to ensure the safety of the visitors. Sightseeing Places Around Shivanasamudra Falls – Somnathpur Chennakeshava Temple, Mudukuthore Mallikarjuna Temple and Talakadu Shiva Temples. At a distance of nearly 80 km from Mysore, the Bandipur National Park is one of the well-known national parks in India. It is nestled in the Chamarajanagar district, on the border of Karnataka-Tamil Nadu, between Mysore and Ooty. Bandipur National Park is must visit place for tourists planning a two day trip near Mysore. Bandipur National Park is one of the 15 sanctuaries that were a part of the Project Tiger Scheme. It is the abode for about 70 tigers and 3000+ Asian elephants, as well as other animals namely dhole, leopards and a wide variety of birds. The entry point of the park is located in Bandipur village, on the highway, right after Melkamanahalli Village. Please note that private vehicles are not allowed inside the park. 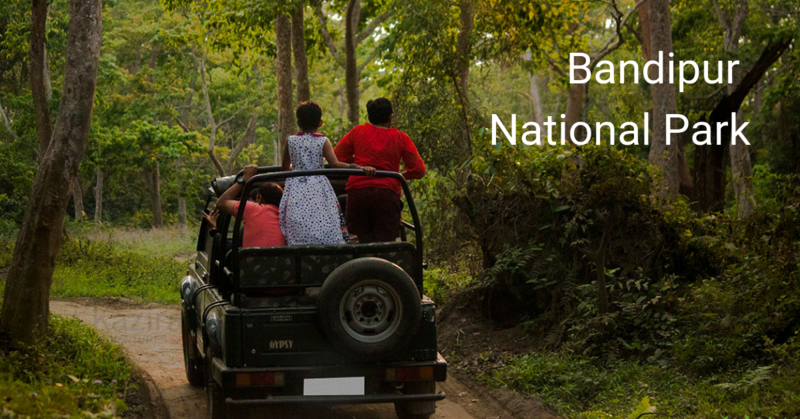 Things to do in Bandipur National Park – The Forest Department arranges for Jeep Safari (1hr), Mini Bus Safari (45min) and Elephant Safari (20min). If interested in Private Jeep Safaris, it can also be arranged by Jungle Lodge, in Melkamanahalli, right outside the Bandipur national park). 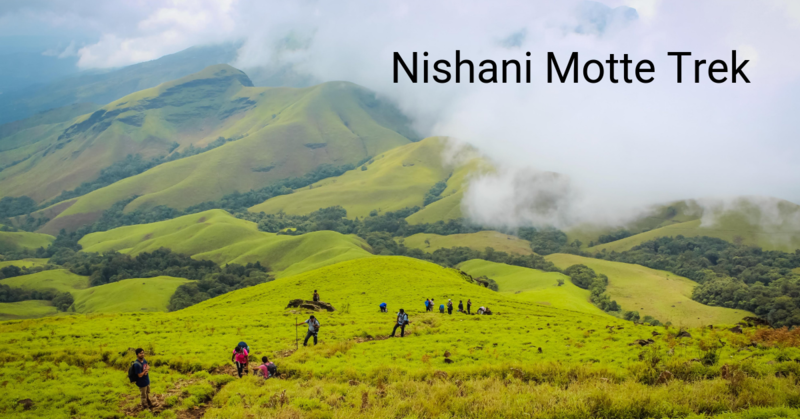 Over 150 km away from Mysore, Nishani Motte Peak in Coorg is among the lesser-known weekend treks around Mysore, where one can experience the nature at its best. The peak lies amidst the dense forest area of Brahmagiri and Bhagamandala. This 14-16 kilometer long trek (both the ways) takes you through the scenic trails that are absolutely mind boggling. The Nishani Motte Peak trekking trail is a part of the dense Tala Cauvery Wildlife Sanctuary. It is home to many wild animals and thousands of plant species. The trekking route to this peak needs guided support, thus it is advisable to book through some trek organizer in Coorg. 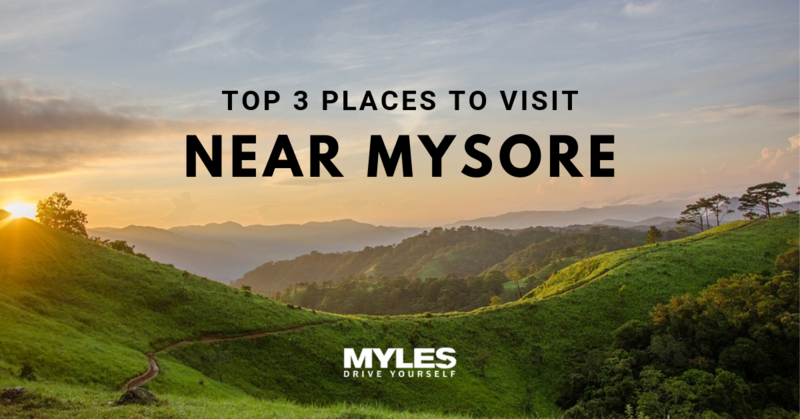 If you have any plan to visit any of these three amazing places near Mysore, book a self-drive car in Mysore with Mylescars and head on a perfect road trip with friends and family.